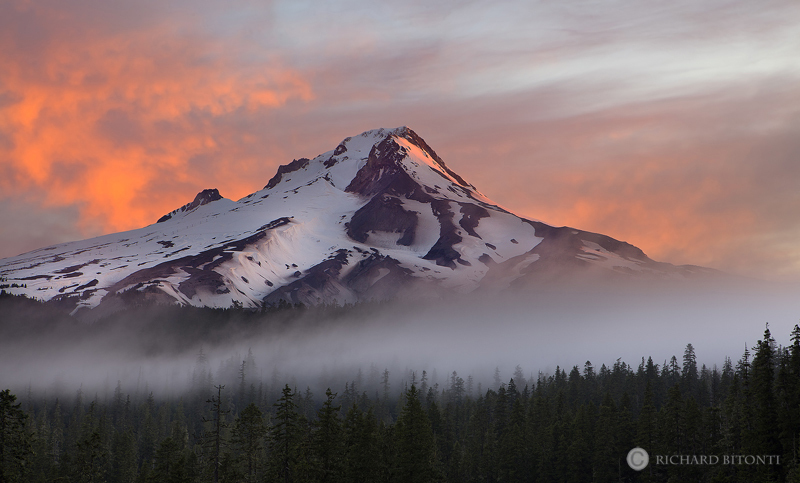 A firey sunrise lights up the sky over Mt. Hood in Oregon's Cascade Range. Mt. Hood is the highest mountain in Oregon; the 4th highest in the string of Cascade Mountain Range volcanoes that stretch from Mt. Garibaldi in British Columbia south to Mt. Lassen in Northern California. Photo © copyright by Richard Bitonti.